The Emura Indoor Unit is sleek and stylish and has some cool features, like optional built-in Wi-Fi compatibility and wireless control. When wireless control is available, air flow, direction, mode and fan speed can be controlled and scheduled from a phone. The indoor head comes in white or silver finish. The ‘louvers’ that provide control of the air flow are concealed behind a cover that silently slides closed when not in use. 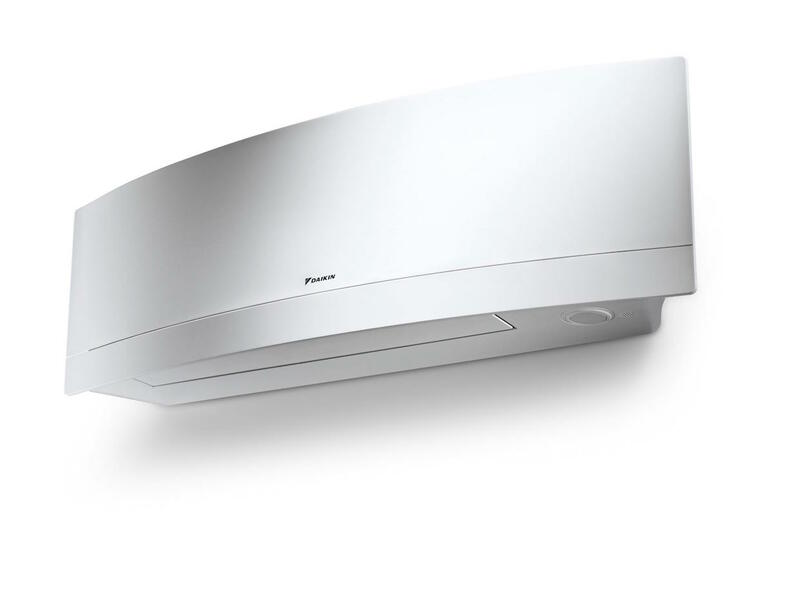 The Daikin attention to design detail and commitment to efficiency is housed nicely within the beautifully-styled head. Built-in sensors detect when people are in the room so that blowing air can be deflected away from them. And, when no one is in the room, the unit decreases temperature to increase the system’s efficiency. The unit is both stylish and smart! Most homeowners love the comfort that their indoor units provide. If you’ve been hesitant about installing a ductless system because you’ve wanted a different style, now’s the time to choose the Daikin Emura and Alpine Ductless Heating and Air Conditioning.